We began our small herd of Nigerian Dwarf Dairy Goats in 2010, We love the sweet milk and their lovely temperaments. When we visited our first farm we just fell in love with them! Soon after that we brought home two doelings! In the spring of 2013 we added our first LaMancha doeling from Cliff Parker at Longvu LaManchas. In 2014 we made the very hard decision to cut back, and nearly sellout of our Nigerians to focus on the LaManchas and now a few Nubians. By 2015, we have moved to all LaManchas. We have enjoyed the fresh, rich, creamy milk, making cheeses and ice creams and soaps. We enjoy showing our goats in open shows as well as an occasional 4-H fair. Our goal is to produce dairy goats that can put it in the pail and win in the show ring all at the same time! 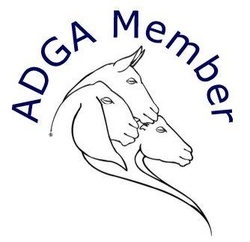 2015 will be our first year using ADGA's Liner Appraisal, and hope to continue using it yearly to see how our breeding program is working for us. Our LaMancha herd consists lines like: Kastdemur's, South-Fork and Longvu. We take our herd health very seriously, we only buy goats that come from tested, well cared for herds. We vaccinate for CD&T yearly, and supplement with copper and selenium according to each goats needs. We have recently switched to Poulin Grain and I am very pleased! The goats are all looking fantastic on it, and they love it too. The Amount of feed is adjusted for each goat according to their condition. We feed a nice 2nd cut grass mix hay twice a day and loose minerals and baking soda free choice.